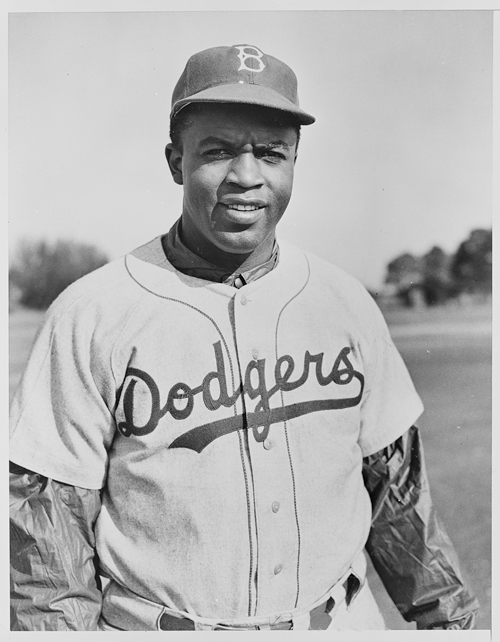 In 1947, the Brooklyn Dodgers called up Jackie Robinson to the major leagues, breaking the color line of professional sports and changing the world forever. Sixty-seven years later, the MLB celebrated its annual “Jackie Robinson Day” on April 15, and Brooklyn is still challenging social standards. On Feb. 23, the Brooklyn Nets became the first professional sports organization to play an openly gay basketball player—Jason Collins. Racial integration in professional sports pushed equality into the public’s focus and threw a curveball at American bigotry. Now, as homosexuality proudly declares its presence within our modern culture, society continues to evolve. Sports have always had the lion’s share of public interest. The Super Bowl, the World Series and the NBA championship always garner front-page attention. When the Dodgers signed the league’s first black player, they tore down barriers that were stunting the growth of social progress. With the signing of the first openly gay man in professional sports, so have the Nets. Signs of progress have been demonstrated in social reactions to gay athletes. While racism had a deep, vested interest in American society that was prominently displayed through violent protests over baseball’s integration; homosexuality has been met with enthusiasm. In Collins’ first game against the Los Angeles Clippers at the Staples Center, he was met with a standing ovation from fans, a far cry from the infamous hardships Robinson was forced to endure. While general acceptance of gay athletes is encouraging to the social movement and justice for human rights, the battle for equality and social tolerance is far from over. Michael Sam, an All-American defensive lineman from the University of Missouri expected to play in the NFL in 2014, recently came out as gay. While the public’s reaction to Sam has been mostly positive, there have also been critics. Professional golfer Steve Elkington made a controversial tweet about Sam, making a joke about the prospect’s combine results. With change, there will inevitably come criticism. It is not to say that one party is right or wrong but rather, there is a misunderstanding that has yet to be properly communicated. The difference between the 1940s and the 2010s however, is that we are communicating. Social media and the Internet have advanced our public environment and the way we discover change. News is now instantaneously transferred, uploaded and absorbed, along with the multitude of opinions that come with it. This fast break of information has changed the way we interpret social problems. Controversies are no longer hearsay—they’re just a click away. Within seconds of learning news, you can find videos, blogs and graphics devoted to the subject. By the time national awareness of an issue has gained considerable notice, people have already adapted to the inevitable change. Even our youth are learning about social matters and events through the Internet and social media. These outlets teach them about equality and social tolerance before many of them even realize these are concerns. When the Brooklyn Dodgers broke the color barrier and signed Jackie Robinson, culture was redirected. Without having any clue to how fans, people and the world would react to his presence, Robinson braved the unexpected. He endured violence, dangerous threats and resentment for the sake of justice; in doing so, he sent a message to the American public, that racial integration in American society would improve the nation. Nearly 70 years later, that message still rings on, echoing from an ovation given to a gay man for being himself. There is still much work to be done in the fight for social tolerance, but we are progressing. In a nation that prides itself on being the greatest among the lands, there is perhaps nothing greater than watching a budding rose of acceptance.